Discover Tennessee Trails and Byways program offers a new way to travel the backroads and byways of Tennessee. Recently launched is the Pie in the Sky Trail, the seventh of 16 self-guided driving tours. 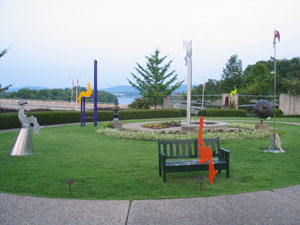 The Pie in the Sky Trail spans 363 miles throughout East and portions of Middle Tennessee, guiding tourists through communities brimming with attractions and outdoor adventure from Chattanooga to Monteagle, McMinnville to Crossville and returning to the Sequatchie Valley. The trail officially begins at the Chattanooga Visitors Center where guests can pick up brochures, maps and coupons before heading out to discover Tennessee’s back roads. However, visitors can choose to begin their journey at any site along the path. Guides and information on food and lodging along the way are available online. Once on the trail, guests can explore rock gardens and farms, revitalized downtown areas and historic places commemorating the American Civil War, the Holocaust and African American heritage.The trail leads travelers to iconic destinations such as Lookout Mountain, the CumberlandPlateau in Monteagle and to Fall Creek Falls State Park and the SequatchieValley. There are 129 cultural gems along the Pie in the Sky: Visit the hometown of Lodge Cast Iron and the National Cornbread Festival, or tour historic Falcon Rest Mansion and explore the site of the 1925 Scopes Trial that inspired the classic film Inherit the Wind. Sample pastries from Tennessee’s oldest family-owned bakery – the Dutchmaid Bakery in Tracy City - and fill up on comfort food at a working farm. Packed with outdoor adventure, trail explorers can visit three Tennessee state parks and hikers of all skill levels will find picturesque views on this mountainous trail at every turn. The history of the area unfolds at more than 30 Civil War sites along the trail and at county museums. Visitors will observe some of Earth’s most interesting creatures at the world-renown TennesseeAquarium, tap into their artistic side in the Bluff View Arts District of Chattanooga, and sample a Chattanooga original, The MoonPie®. Information courtesy of Cindy Dupree, cindy.dupree@tn.gov. 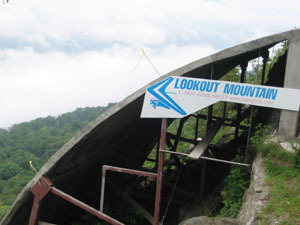 Learn more about The Pie in the Sky Trail at www.tntrailsandbyways.com.